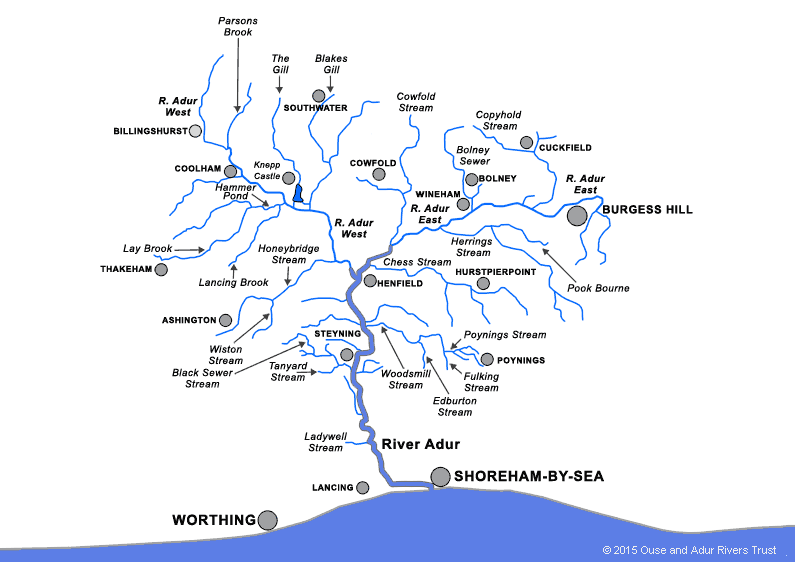 The catchment area of the Ouse & Adur Rivers Trust covers parts of both East and West Sussex and incorporates a diverse range of rivers, streams and lakes. Despite being geographically next door to each other the two river corridors are very different although the issues and concerns remain the same. 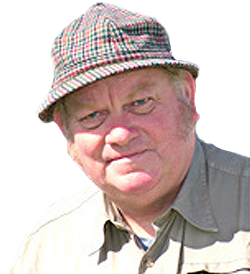 The two rivers and their tributaries are associated with over 2000 landowners, ranging from large estates to gardens and allotments and flow through both urban and rural landscapes. 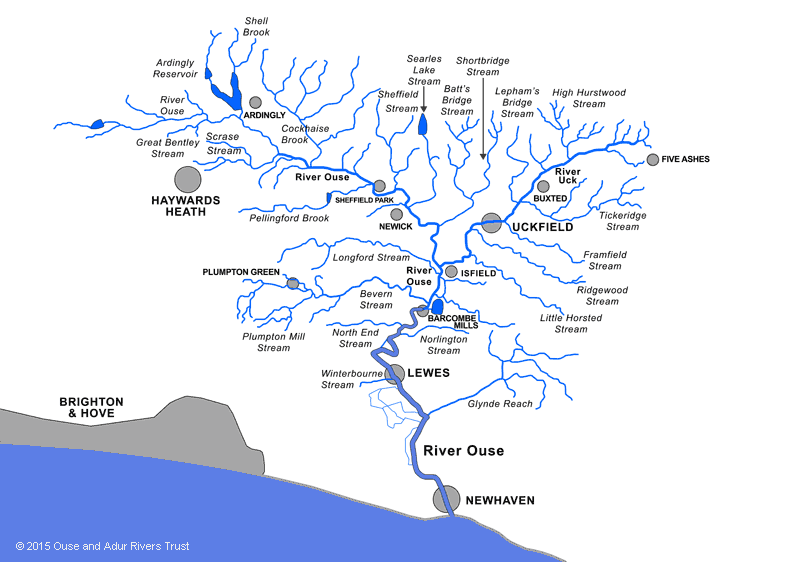 For further information on the individual rivers please click on the maps below.